It is almost impossible to be successful in anything if you are not passionate about it. However a good number of successful entrepreneurs in the continent had no passion for the business they were in but passion for what it was doing for themselves and the people around them. There is a mixture of passion for the business as well as a passionate desire to get out of poverty, improve ones living standards. Very different from fear of being poor as they most likely grew up poor or were surrounded by poverty. The level of mental tenacity this requires can be mind boggling in some cases. 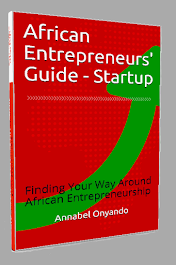 Through the continent there are more people being successful as entrepreneurs doing what they have to do to put food on the table and then pursuing their passion after. Both types of passion are strong enough to propel one through the hard, long and difficult times when they come in the process of establishing your business. Sometimes it is not loving what you do but hating your situation enough so you can do whatever it takes to get out. © Synergy4Africa. Picture Window theme. Powered by Blogger.